Strong, easy-to-use inserts install using standard drill/tap. No special installation tool needed. Self-locking. 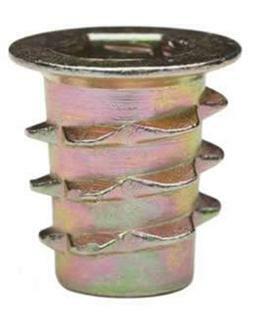 Repair damaged threads in soft metals. Minimal hole size requirements. 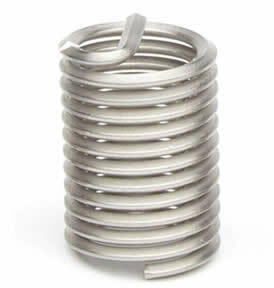 Made of corrosion resistant 18-8 stainless. Inexpensive solution for soft woods, plywood, MDF, and composition board. Install with hex key or optional drive tool. 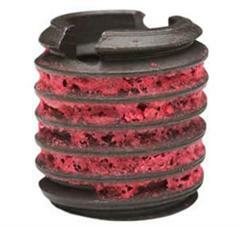 Simple press-in installation reduces damage caused by misaligned inserts. Install cold in cored or drilled holes. Ideal for 3D printing. 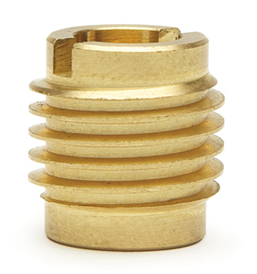 Install ultrasonically or with heat staking for a strong, post-molded installation. Tapered and straight designs. Slotted design minimizes splitting and splintering, Quick and easy press-in installation. Available in three lengths.